Performance evaluation is crucial for the development and improvement of an urban cellular automata model, such as SLEUTH. 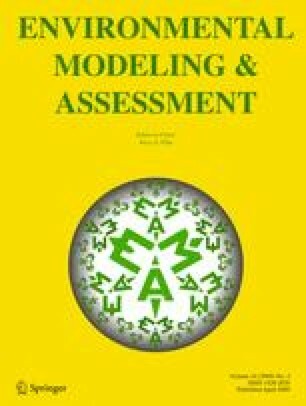 In this paper, we employed multiple methods for map comparison and model validation to evaluate the simulation performance of the SLEUTH urban growth model in the Shenyang metropolitan area of China. These multiple methods included the relative operating characteristic (ROC) curve statistic, multiple-resolutions error budget, and landscape metrics. They were used to quantitatively examine model performance in terms of the amount and spatial location of urban development, urban spatial pattern and prediction ability. The assessment results showed that SLEUTH performed well in the way of the quantitative simulation of urban growth for this case study. Similar to other urban growth models, however, the simulation accuracy for spatial location of new development at the pixel scale and urban spatial pattern still needs to be improved greatly. These inaccuracies might be attributed to the structure and nature of SLEUTH, local urban development characteristics, and the temporal and spatial scale of its application. Finally, many valuable suggestions had been put forward to improve simulation performance of SLEUTH model for spatial location of urban development in the Shenyang metropolitan area. We thank Professor Keith C. Clarke, University of California Santa-Barbara, for providing helpful suggestions. This work was jointly sponsored by the Knowledge Innovation Programs of the Chinese Academy of Sciences (KSCX2-SW-133) and the Knowledge Innovation Programs of Institute of Applied Ecology, Chinese Academy of Sciences (O6LYQY1001). We are grateful to the anonymous reviewers for their constructive suggestions and comments. Project Gigalopolis: Urban and Land Cover Modeling. URL: www.ncgia.ucsb.edu/projects/gig/project_gig.htm.